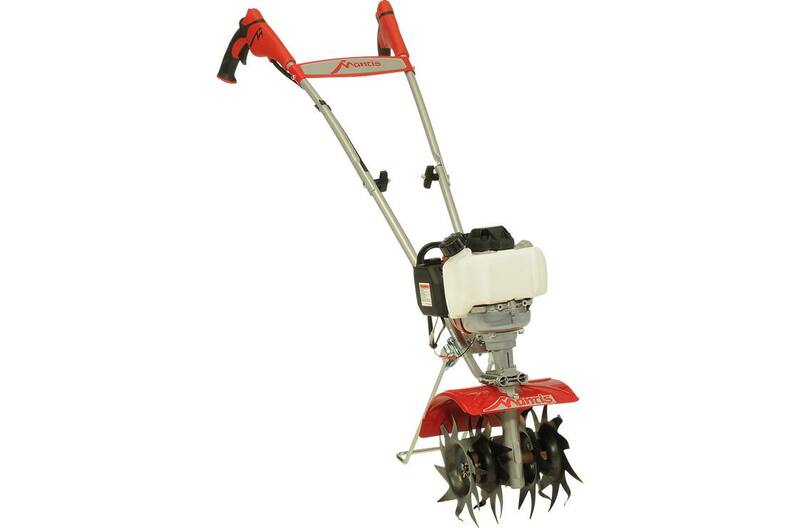 Easy to start, quiet and with no fuel mixing required, the Mantis 4-Cycle Plus Tiller/Cultivator weighs just 24 pounds. 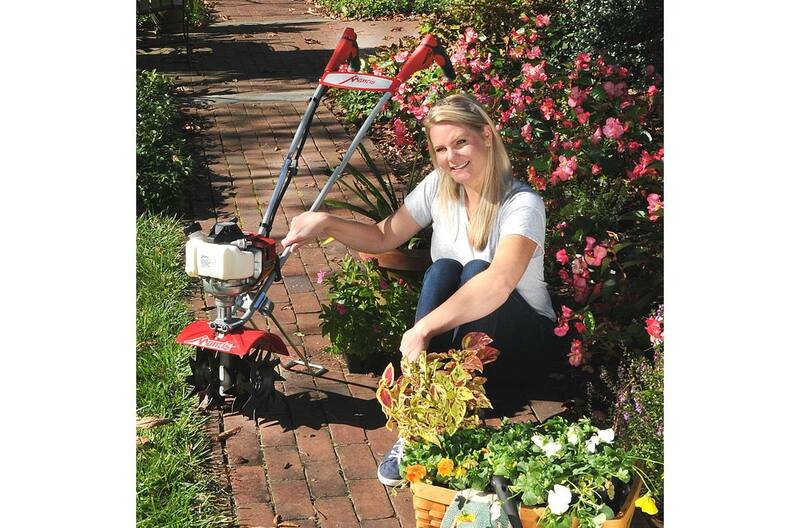 Featuring a premium 4-cycle engine powered by Honda®, this lightweight powerhouse is tough enough to till through sod and compacted soil, but is easy to carry, easy to start and easy to use. Perfect for gardens of all sizes! 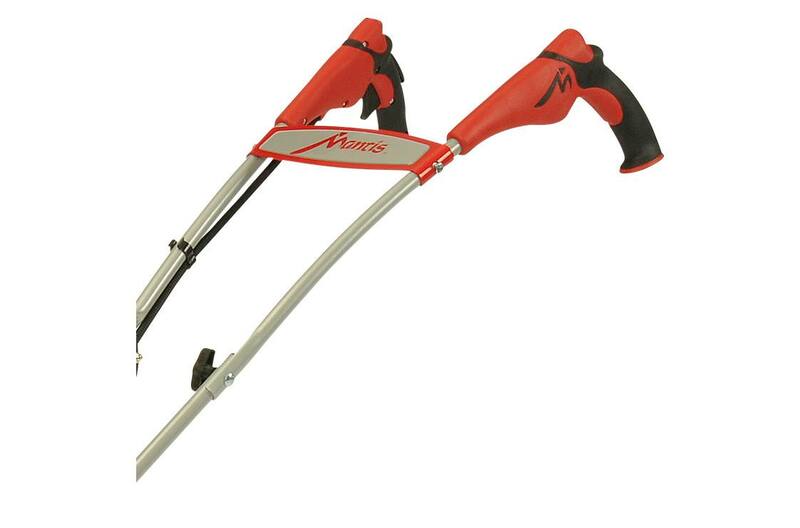 This small tiller has a sleek design and soft, Sure-Grip handles. Ergonomically flared for fatigue-free operation the new grips feature a flush-mounted throttle, palm-controlled switch and infinite speed control for ease-of-operation. 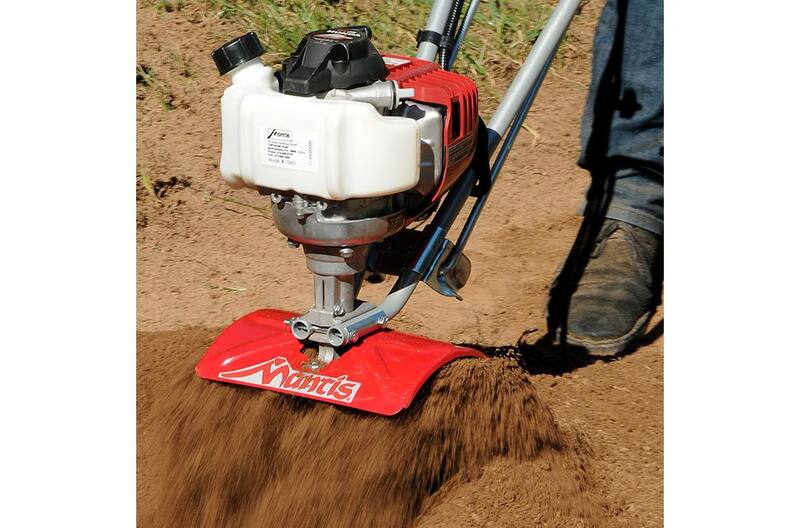 Reliable easy-starting and powerful Honda® four-cycle engine: Requires no mixing of oil and gas and runs quieter. Fold-down handles: For storing conveniently. Or transporting to the community garden. 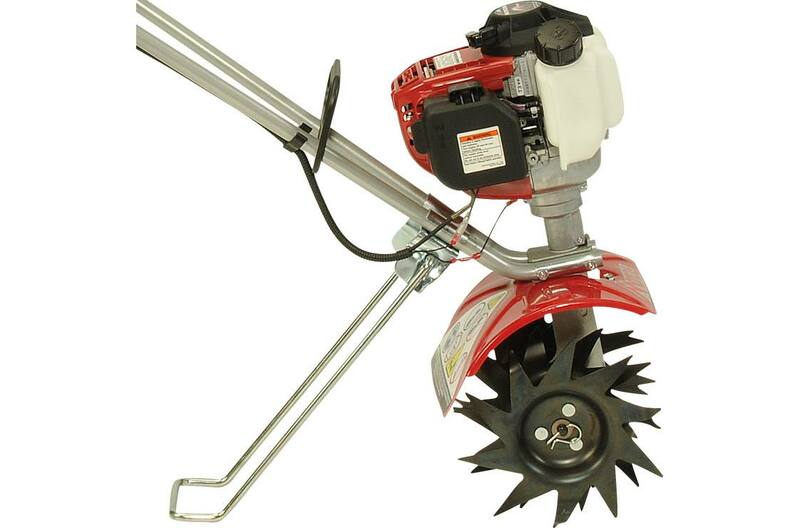 Compact Design: Only 9" wide, this Mantis Tiller/Cultivator works easily in tight places, along fences and in raised beds. Goes where no big tiller can go. Lightweight – just 24 lbs.